All the cool cats and “Atomic Dogs” will unite as “One Nation Under a Groove” when George Clinton and Parliament Funkadelic bring the funk, the whole funk and nothing but the funk to House of Blues Las Vegas on Saturday, March 31, 2018. Recording as both Parliament and Funkadelic, George Clinton revolutionized R&B during the ’70s, twisting soul music into funk by adding influences from several late ’60s heroes like Jimi Hendrix, Frank Zappa, and Sly Stone. While Funkadelic pursued band-format psychedelic rock, Parliament engaged in a funk free-for-all, blending influences from the godfathers with freaky costumes and themes inspired by ’60s acid culture and science fiction. From its 1970 inception until Clinton’s dissolving of Parliament in 1980, Clinton hit the R&amp;B Top Ten several times but truly excelled in two other areas: large-selling, effective album statements and the most dazzling, extravagant live show in the business. The ’90s saw the rise of funk-inspired rap and rock that reestablished the status of Clinton & co. as one of the most important forces in the recent history of black music. Clinton’s music became the soundtrack for the rap movement as artists from MC Hammer, to LL Cool J to Snoop Doggy Dogg heavily relied on the funk as the foundation of their recordings. 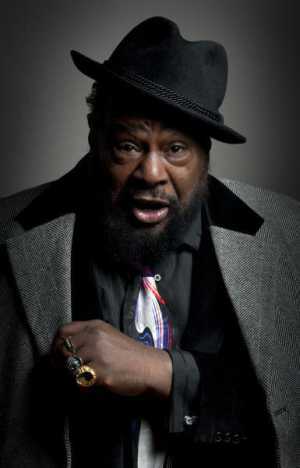 Even more recently, George Clinton featured in and helped produce Kendrick Lamar’s Grammy Award winning album To Pimp a Butterfly. The blend of elements from Jazz, Rock, Blues, Pop, Classical and even Gospel in his productions eventually developed a unique and easily identifiable style affectionately called “Pfunk.” Clinton’s inspiration, dedication and determination resulted in the elevation of “funk” music to complete recognition and acceptance as a true genre in and of itself and led to Clinton’s Parliament/Funkadelic induction into the Rock and Roll Hall of Fame in 1997.